The Assignment | That Belongs in a Museum! This [photograph] is my daughter Katie (who is now 22 years old) when she was in the third grade. She was born in Chicago and when she was two years old we moved to Denver…and then we snatched her away from a place she loved and brought her back to Chicago when she was in third grade. And I never knew that a third grader could be so depressed. 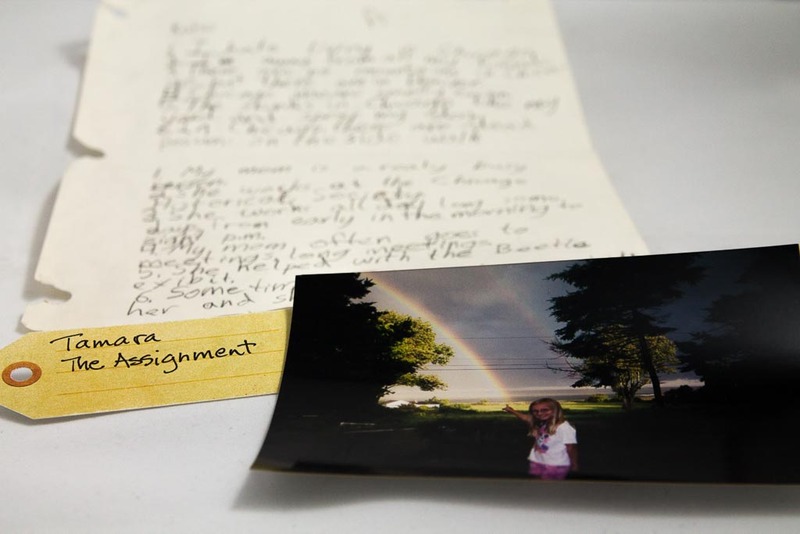 …When she entered third grade in our neighborhood elementary school on the northwest side of Chicago, her assignment was to write…two sets of six sentences on a topic. I hate living in Chicago. I’m away from all my friends. There are no mountains in Chicago but there are in Denver. The skunks in Chicago like my yard and spray my dog. In Chicago there are dead opossums on the sidewalk. My mom is a really busy person. She works at the Chicago Historical Society. She works all day long some days from early in the morning til 8pm. My mom often goes to meetings, long meetings. She helped with a beetle exhibit. Sometimes I have to go with her and she just works and works.